Paytm has launched food ordering and delivery service through its mobile app in partership with Zomato. This lets you browse your favorite restaurants within the Paytm App and order food instantly. This service is currently live for Delhi-NCR and the company says that it will cover more than 80 thousand restaurants across 100 cities by end of this month. Paytm said that its QR is widely accepted across a wide range of outlets including quick-service restaurants to fine dining and casual dining options. “This association would further strengthen Paytm’s drive of enabling seamless mobile payments for purchasing food both online & offline,” it added. Zomato covers more than 80 thousand restaurants across 100 cities. It achieved a monthly order run rate of 28 million in December 2018 and has a last mile delivery fleet of 1.5 lac partners across India. 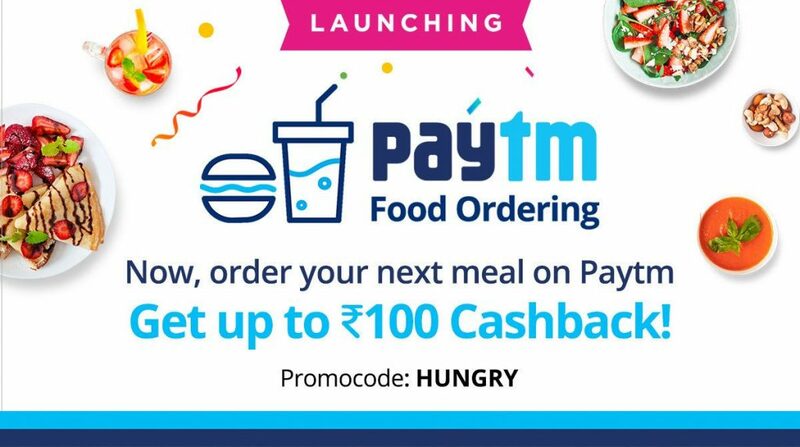 Paytm Food ordering is available for customers on the Paytm Android app and will soon be made available across India and on the Paytm iOS app as well. For the first delivery, you can get up to Rs. 100 cashback with promocode HUNGRY. Our association with Zomato is a valuable addition to our platform in bringing the convenience of ordering food online through our app. A vast majority of our customers are from the tier 2 & tier 3 cities, with this new addition we are confident of driving the growth of online food ordering further. It is also an important step towards enhancing the overall offerings to our customers. We will continue to invest our efforts in this direction. Paytm is the most popular digital payments platform, with extensive reach across the length and breadth of the country. We are excited to be partnering with them to integrate our online food delivery service with their mobile app. This will allow us to reach a much larger user base and add to the overall experience of ordering from Zomato.